Wash apples in warm water to remove any wax. Dry thoroughly and allow apples to get to room temperature (68°-70°F). Place 5 lb Peter’s Caramel Loaf in a large microwave safe bowl. For best results use a microwave with a rotating carousel. Cook on high for 2 minutes, then stir. Continue cooking for 2 minute intervals until caramel reaches 180°-190°F for full melt. Depending on your microwave power, this should take 6-10 minutes for a 5 lb loaf. 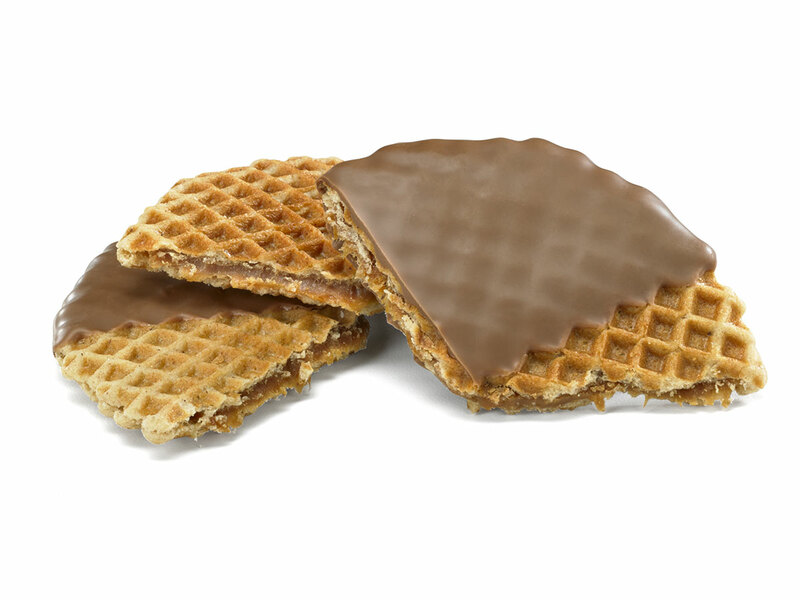 Gently mix in 1 lb Peter’s White Icecap™ Wafers; the heat of the caramel will melt the wafers. Mix until completely incorporated. This will help insure the caramel does not flow off the apple. 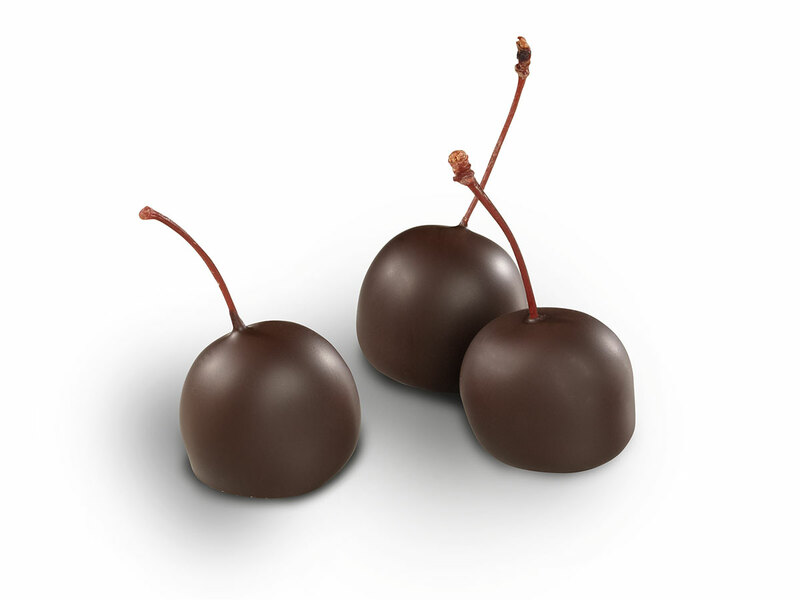 Maintain caramel in the 180°-190°F range, stirring sparingly to minimize air bubbles. Insert stick into stem of apple being careful not to pierce through the bottom. 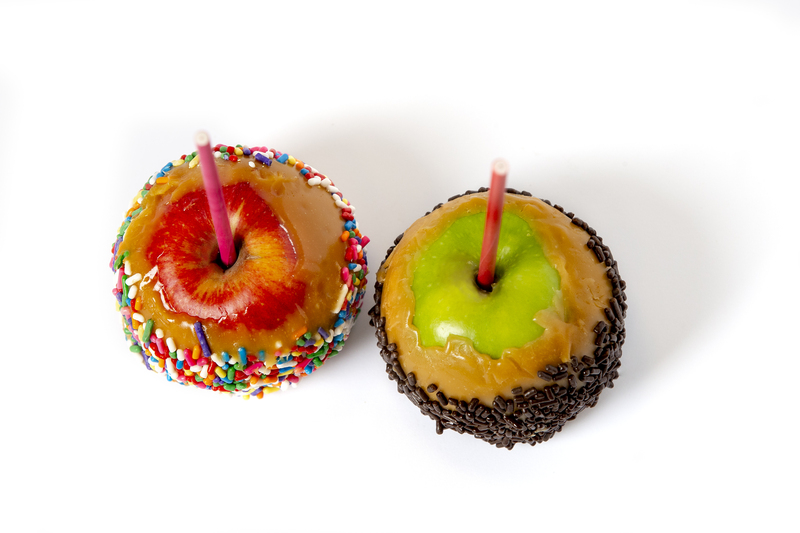 Completely coat the apple with caramel, including pierce point, to obtain maximum shelf life. Allow excess to drip back into dish. Once you have coated the apple, scrape the excess off the bottom. If desired, immediately roll in sprinkles or other toppings. Place apple, stick up, on parchment paper. For faster set-up, refrigerate for 15-20 minutes. 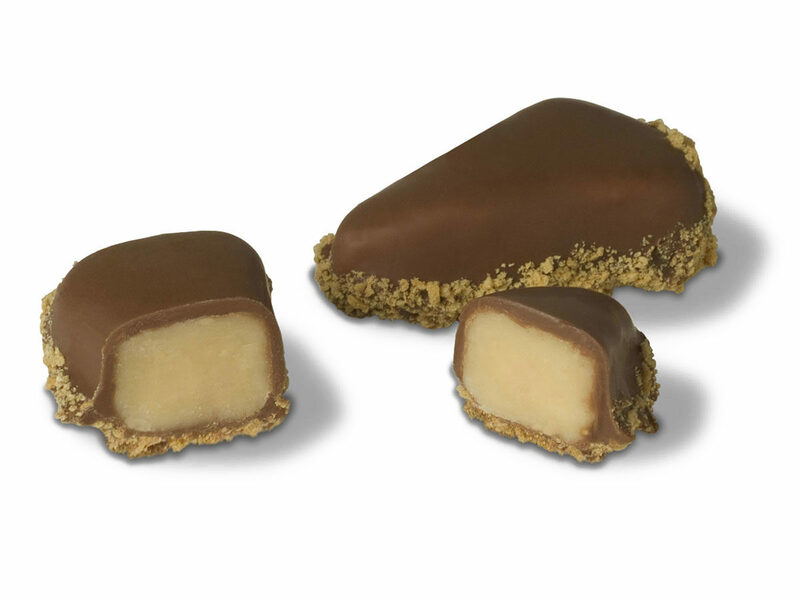 Our Baby Caramel Apples were originally created as part of our 2019 Peter’s Chocolate Calendar. To learn more about the calendar and see other innovative creations from 2019, visit our blog here.